In the wake of last month’s violence at the Georgetown Prison that claimed the lives of 17 inmates, President David Granger Friday announced plans to for a “massive” movement of a number of prisoners to the Mazaruni Prison. “The problems will not be resolved unless there is a massive re-deployment of prisoners from Georgetown particularly- I ignore New Amsterdam for the time being- to Mazaruni. Mazaruni has the space and it needs to be reinforced and fortified,” he said on his weekly interview programme, Public Interest. 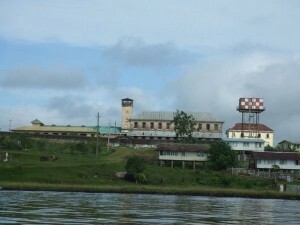 Granger did not say how soon prisoners could be moved from Georgetown to Mazaruni. He noted that money has to be provided to construct new prison blocks at that maximum security jail located on the left bank of the Mazaruni River in Region Seven. “We still need to provide secure facilities at Mazaruni for a greater number of prisoners and move more prisoners,” he said. Following the March 3, 2016 unrest a number of them have been already transfered from the Camp Street jail to the Mazaruni prison. Plans are also in train for the staff of the Guyana Prison Service to be trained by the Guyana Police Force. The President noted that already representatives of the Executive and the Judiciary have met to examine ways of reducing overcrowding by hearing the cases of the large number of prisoners who are on remand. “There has been an engagement between the Executive branch and the Judicial branch to examine sentencing policy to ensure that custodial sentences or perhaps remands or the denial of bail will be reviewed so that there is no huge build up of persons in the prisons, particularly the Georgetown Prison,” he said. Granger partly attributed to the problems in Guyana’s prison system to rogue staff members who allow prohibited items such as cigarettes, ganja, metal weapons and cellular phones into the jails. “It is impossible for that level of contraband traffic to have occurred without the complicity of a few rogue officers,” he said. 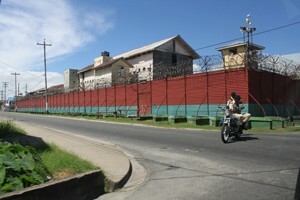 After more than one dozen prison wardens reported sick, believed to have been as a result of threats to them and their families, police have been deployed inside the Georgetown Prison and soldiers have been ordered to accompany police to stand guard around the jail at barriers . Vehicles and pedestrians are barred from using Bent, John and D’urban Streets. Only pedestrian traffic is allowed on Camp Street near the front of the jail. Overall, the report states that the Guyana Prison Service reported that, as of October, 2015 there were 1,944 prisoners in five facilities with a combined design capacity of 1,640.